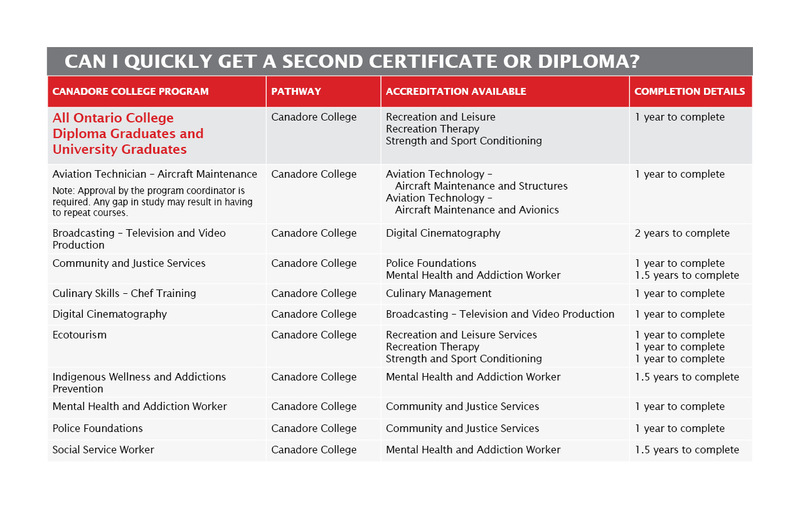 Graduate Certificates & Transfer Pathways: We have a number of graduate certificates & transfer pathway options for students who wish to gain a second credential through Canadore College. Internal Program Transfer: You may transfer to any other Canadore program and apply to have course credit applied to your new program of study. Applications: As a current Canadore student you may submit your internal application directly to our Admissions Office instead of reapplying through OntarioColleges.ca. The Internal Application Form is available here. Credit transfer is the process of having your prior formal education assessed against courses in your program of study. In this way you may avoid the duplication of coursework where courses are deemed essentially the same. Please read the Credit Transfer Student Guide document carefully before filling in your application form. Complete and submit your Credit Transfer Application Form.